It’s been another event-packed 12 months in the world of cycling, with a vast range of topics driving the news agenda. We’ve sifted through the stats to bring you the top 10 most-viewed news articles here on www.cyclingweekly.com. Peter Sagan showed why he’s one of the most confident bike-handlers in the professional peloton with his lightning-quick footwork that saw him avoid crashing on a slippery corner during the Tirreno-Adriatico time trial in Italy in March. Not only did he stay upright, he also went on to complete the stage in ninth place and avoid a black cat that ran out into the road. 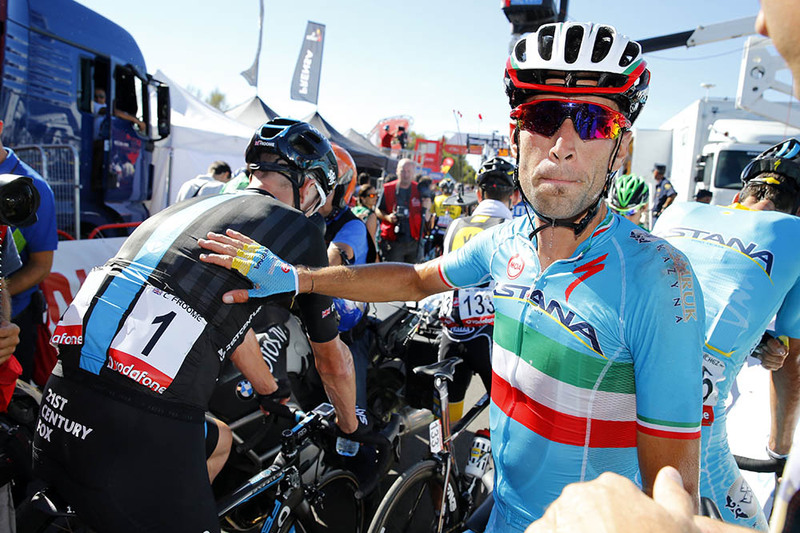 Astana rider Vincenzo Nibali caused a major upset during the Vuelta a España after he was disqualified from the race for holding on to a team car to get himself back up the peloton after being held up by a crash. Unluckily for the Italian, his against-the-rules move was caught on camera and the race jury threw him out. Nibali’s loss was his team-mate Fabio Aru’s gain, as Aru went on to become sole leader of the squad and win the race overall. 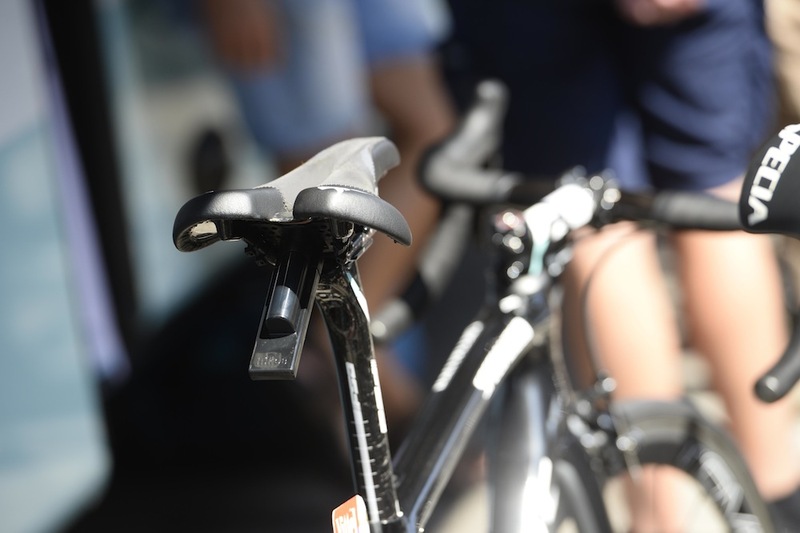 Many fans watching the 2015 Tour de France in July wondered what the odd, elongated black plastic boxes were sticking out from under riders’ saddles. Were they some kind of mudguard? Or a camera? As it turned out, they were GPS tracking devices so that the exact location, and therefore race position, of riders could be ascertained with pin-point accuracy. They were provided by the Tour de France’s technology partner Dimension Data, a name we now recognise as the 2016 title sponsor of MTN-Qhubeka and Mark Cavendish. Innovation in cycling continues to attract a huge amount of attention, and there were several stories in 2015 that caught the interest of readers. Many of these innovations do not come from huge corporations, but individuals floating their ideas on crowd-funding websites. 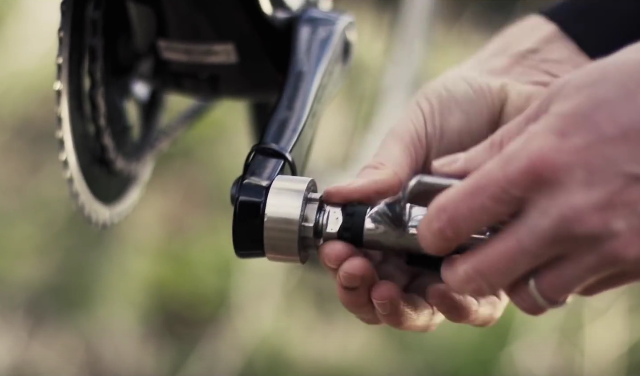 This was the case with cyclist and inventor Ken Norton, who came up with the design for a compact and affordable power meter that fits between the crank and pedal spindle, called Limits. Sadly, production of the units later fell behind schedule and they are now expected in 2016. 5. 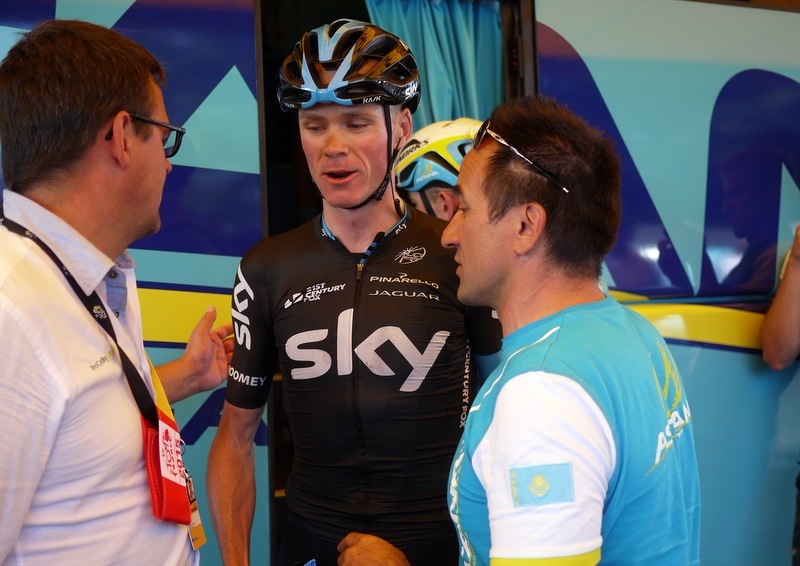 What can we learn from Chris Froome’s power data? Chris Froome on his way to winning Stage 10 of the 2015 Tour de France. 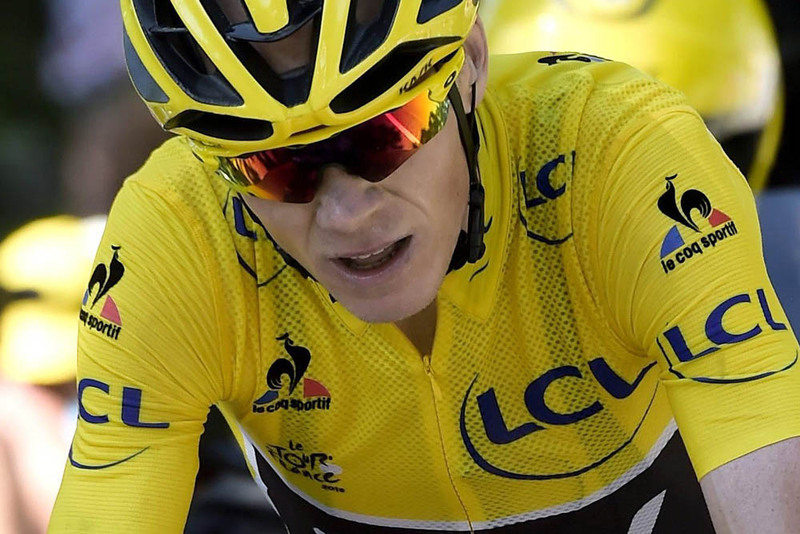 Chris Froome took his second Tour de France victory in July. Not only did he have to contend with his rivals, cobbles and mountains, but also almost constant accusations that his performance was somehow ‘superhuman’. In an attempt to prove that he is indeed a human being, Froome published his power data from the race, a move which caused much interest. Our analysis of the data by Michael Hutchinson aimed to provide a guide to what the numbers meant. 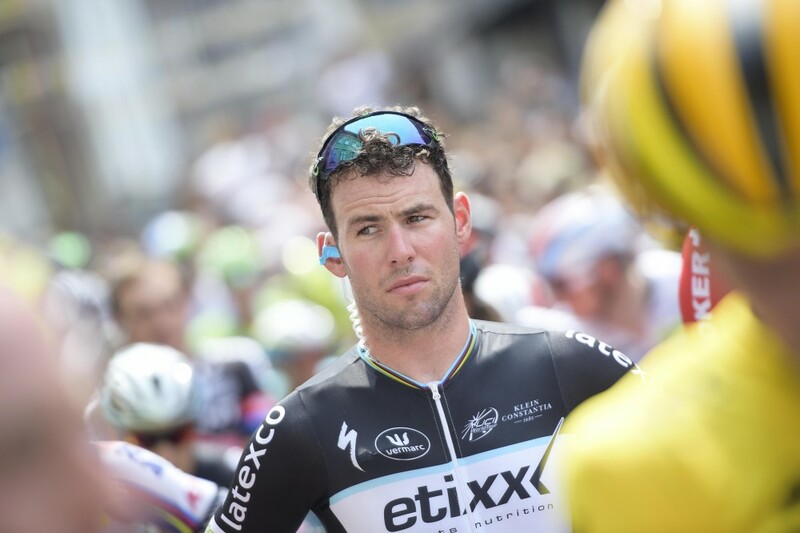 Isle of Man sprinter Mark Cavendish can often be relied upon to tell it like it is, and his opinion was that the Vuelta a España had ‘become stupid’ for riders like him due to the number of mountain-top finishes. He made the comment during the Tour of Britain. “One thing for the viewers: sprinters aren’t bad bike riders,” he said. “You don’t have to go quick uphill to make it a good race, do you know what I mean? No-one wants to go to the Vuelta any more unless they crashed out of the Tour de France.” Needless to say, the Vuelta organiser didn’t take very kindly to his sentiments. More and more roadside fans are taking chances while capturing photos and videos of riders as they pass. When a spectator leaned out during the Giro d’Italia and held a selfie-stick out at the riders’ head level, he found a pink-clad objector. Race leader Alberto Contador took it upon himself to push away the offending object. 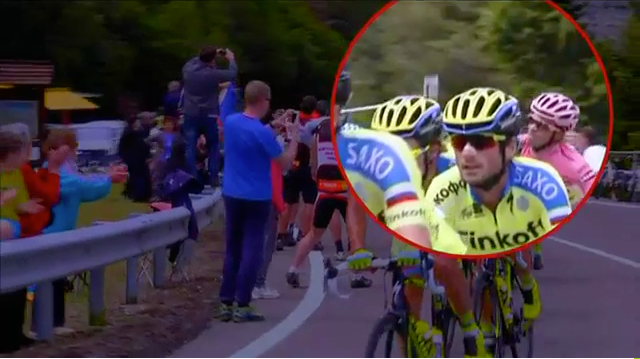 Contador went on to win the race overall, but we never discovered the fate of the camera. 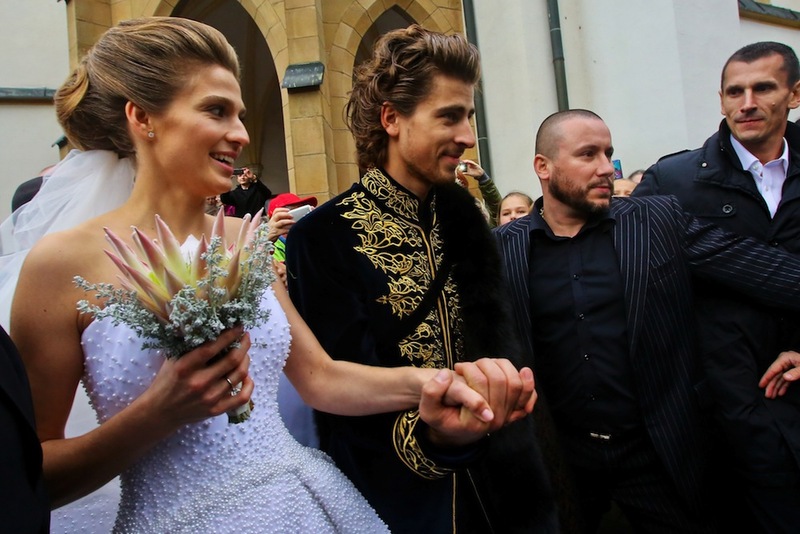 After his world championship win elevated him into super-superstar status, the ever-flamboyant Peter Sagan was never going to have a ‘normal’ wedding. The Slovak Tinkoff rider wed his girlfriend Katarina Smolkova in mid-November, and he wore a long black and gold coat and indulged in some high-wire cycling. 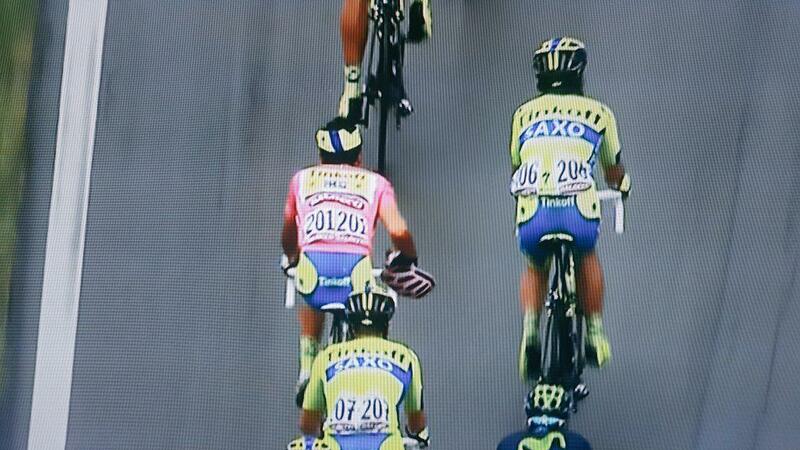 Alberto Contador removes helmet during the Giro d’Italia… seems pretty tame. That statement doesn’t tell the whole story, though, as the background to it is that Richie Porte had been given a stiff two-minute time penalty for swapping a wheel with an Orica-GreenEdge rider when he punctured earlier in the race. Porte’s penalty was deemed harsh, but by the rules. Equally, many argued that Contador’s helmet removal was also against the rules, and he too should have been penalised. As ever, Twitter was the place for people to air their disgust.